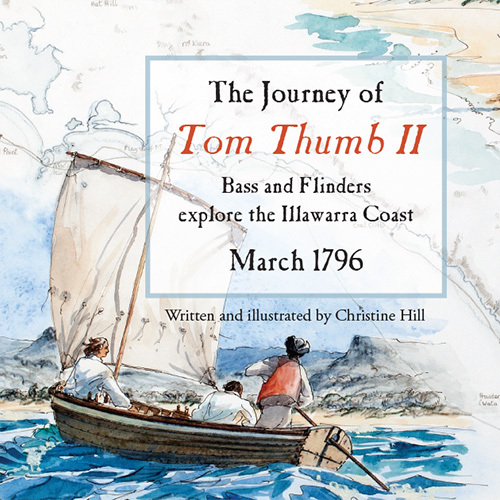 Now in its second printing, my book tells the tale of three young men in 1796, having the time of their life when they explored the Illawarra coast looking for the River Hacking. 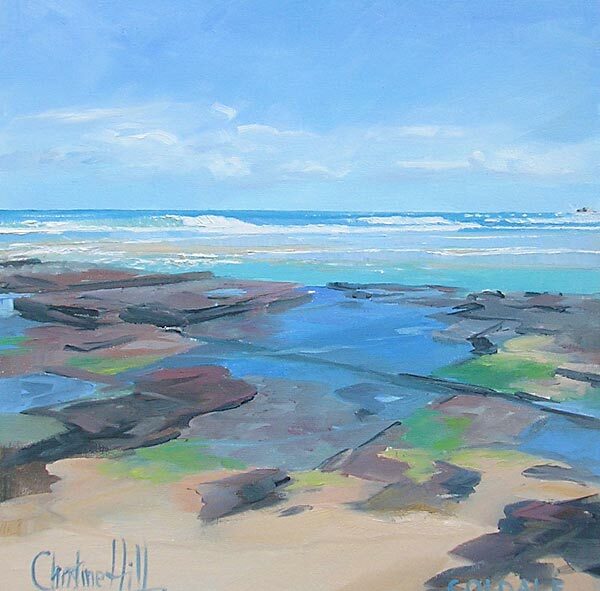 Always drawn to water, I love drawing and painting to capture the essence of my local beaches in the Wollongong area. 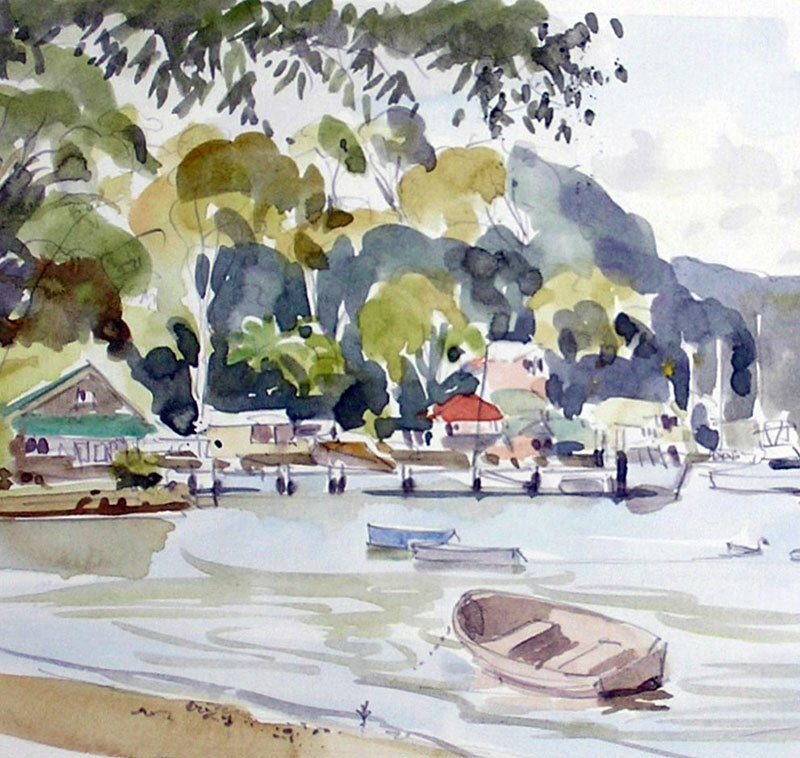 I lived at Avalon for many years and found endless inspiration in the headlands, waterways and wildlife. 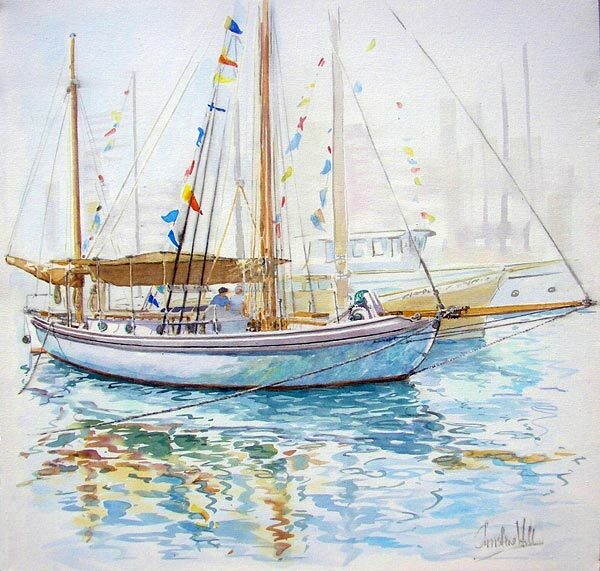 There’s something wonderful about drawing and painting wooden boats! Here’s a selection from a huge number across many years. 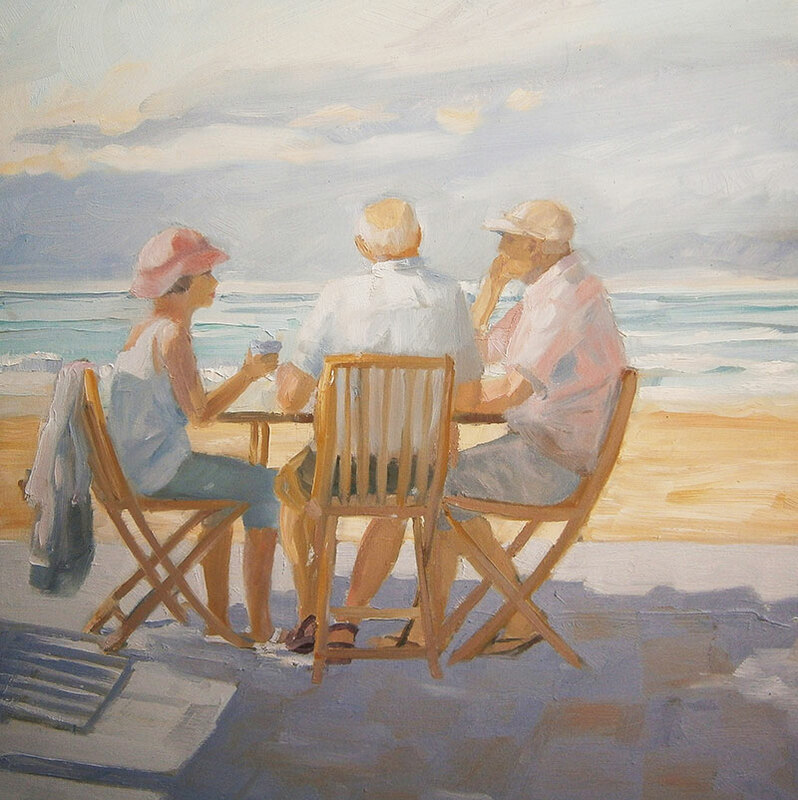 I enjoy the challenge of painting scenes that capture the essence of the morning sun, a cup of good coffee and the company of friends. 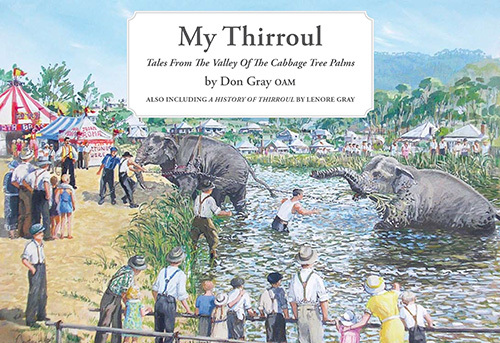 I had the great privilege – and also great fun – illustrating Don’s book of memories and stories, including the day the circus elephant got stuck in the lagoon.